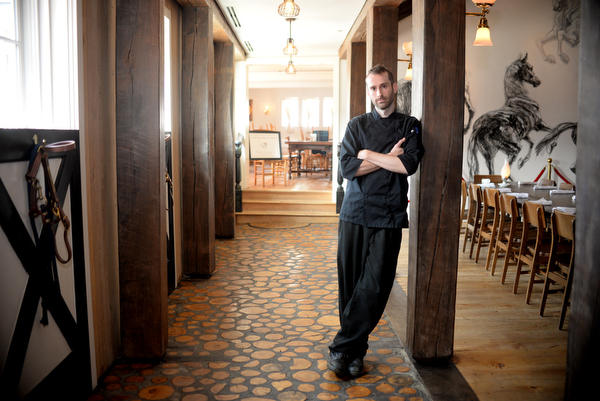 The White Horse Inn, in Metamora, Michigan, was featured in the November 2018 issue of SEEN Magazine, focusing on Executive Chef Brentton Stinson and the way his experience and style is shaping the historic restaurant’s kitchen. 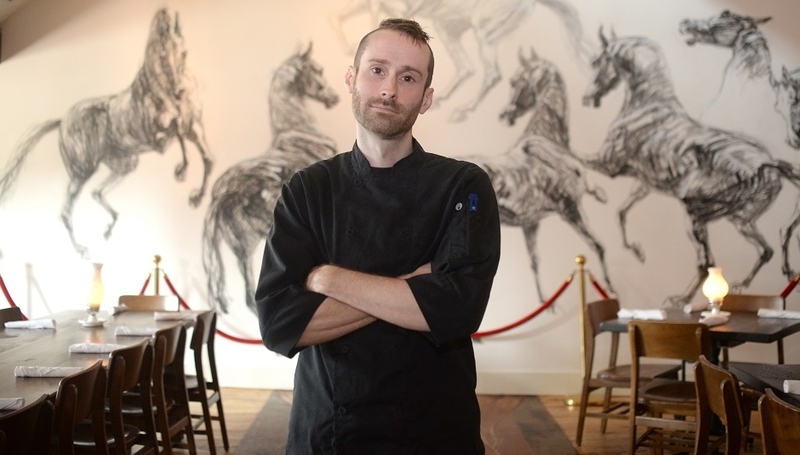 White Horse Inn executive chef Brentton Stinson worked his way up from a high school job at Buscemi’s to top position at historic restaurant in Metamora. What some people think chefs do: Travel around the globe, eat at Michelin-starred restaurants, create pretty plates of food on Food Network, make tons of money. While that may be the case for a few in the industry who are catapulted to rock star status, in reality, it’s more like work 18 hours a day, shove in random bites of food while standing over the sink or garbage before the next rush, and earn around $10-$12 an hour, which is not enough to live off. And let’s not even get into the intense working environment and culture.